Oscar Galvez is our April Employee of the Month, and our Woodland Ridge team would like to congratulate him for being a fantastic employee! Oscar is originally from Zacapa, Guatemala where he was born and raised in a family with three sisters and one brother. Oscar went to college and became a physical education teacher for more than 12 years. Along with teaching, he became certified as a referee in basketball, volleyball, and football. He mentioned that everyone had to work more than one job to make ends meet in Guatemala. Oscar came to the United States in 1994, settling in Miami where he stayed for four years. While living in Miami, he met his wife, Maria, who is from the Dominican Republic. They decided to move to Atlanta because they could do better here. Oscar says Atlanta is better for work and everything else too. Oscar’s wife works in accounting, and they have four children and eight grandchildren. Oscar says spending time with family is his favorite thing to do, whether they’re going to church, going on a picnic or shopping. Since he came to Woodland Ridge in November of 2016, he has become a graduate of HVAC school and on the 13th of March 2019, he became a naturalized citizen! We are so proud of Oscar for making his dream come true. Oscar is such a dedicated employee that you will often see him at Woodland Ridge on weekends or after hours. He says he wants to be sure everything is running well and oversee any work that outside contractors may be doing. Oscar has made our building look fresh and clean and even planted the tulips that are sprouting up in the front garden bed! 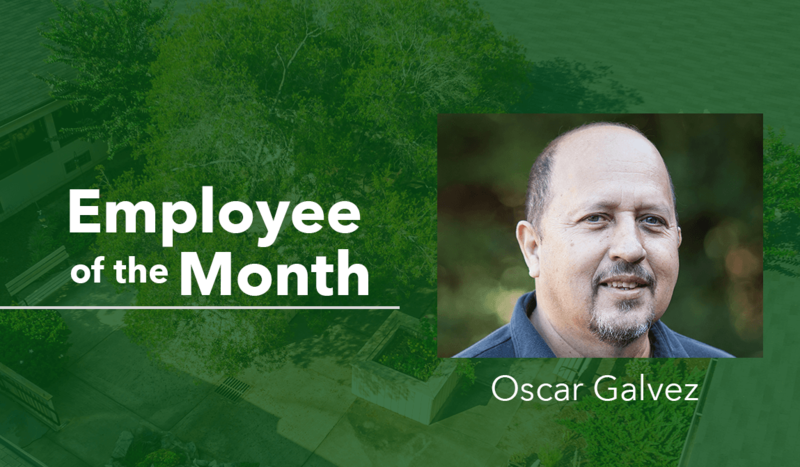 Woodland Ridge loves to share exciting employee stories such as Oscar’s. We want to thank him for sharing with our readers!